Aesteiron Steel Pipes is a export unit of Aesteiron Steels Pvt. 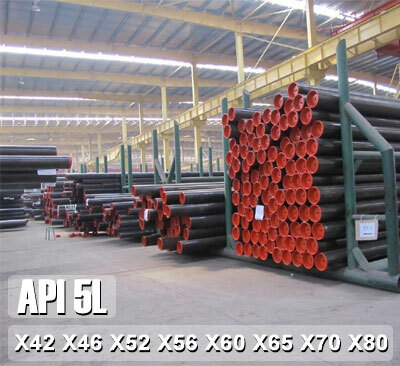 Ltd. We are manufacturers, stockist & suppliers of API 5L L450 X60 PSL1 Line Pipe, API Line pipe is used mainly in Oil & Gas industry where they need to setup very long pipeline but in API line pipe there are so many grades like API 5L A25 (and the following "X" Grades), X42, X46, X52, X56, X60, X65, X70, X80. Each grade of API 5L having unique properties, tensile & hardness. Different grades used in different atmosphere depends upon temperature, pressure & climatically conditions. 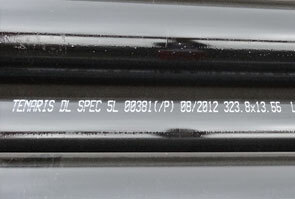 But as of now there is no website providing comparisons of all grades of API line pipes in a single window. Aesteiron Steel Pipes is come up first time an online platform where project consultants & engineers get differences & comparison between 3-4 grades of API Line Pipe in a single window. It will help a lot to choose right API Line pipe with appropriate grade with best price. You can search any size & grade in steel seamless pipe to compare pricing. Before you buy API 5L L450 X60 PSL1 Line Pipe you must check our free sample, we are offering best price in Asia. Aesteiron has sales Representative & Stockyard in Netherlands, Venezuela, South Africa, Indonesia, USA, UAE & Australia, in our UAE stockyard we have ready stock of API 5L L450 X60 PSL1 Line Pipe,x52 pipe, x42 pipe, x70 pipe, x65 pipe, x60 pipe, x56 pipe, x80 pipe, psl2 pipe, ERW Steel Pipe, LSAW Steel Pipe, Seamless Steel Pipe, P22 Pipe, sa213 t11, S/A 53, API 5L Line Pipe & A 106 Grade B Pipe of world's renowned manufacturers like Tenaris / Dalmine-Italy,Vallourec-Europe, Vallourec Star-USA, Productos Tubulares-Spain, Jiangu Chengde Steel Tube-China, Tubos Reunidos-Spain, Chomutov-Czech Republic, Huta Batory-Poland, Siderca-Argentina, Mittal Steel-Czech Republic Romania, NKK/ MSL -India / Tenaris Japan, Volzhsky Russia, Tamsa-Mexico, Productos Tubulares-Spain, Niko Tube-Ukraine, Heng Yeng-China, Lubao Steel China Suzhou Seamless-China and YYC-China etc. API 5L L450 X60 PSL1 Line Pipe are carbon steel pipes, strictly manufactured as per API (AMERICAN PETROLEUM INSTITUTE) to meet the clients requirements. API 5L L450 X60 PSL1 Line Pipe are provided with multiple end connections like non-Upset ends and External Upset Ends. Aesteiron Steel Pipes provides these api pipes with all mandatory non-destructive testing inclusive of eddy current tests, hydro testing. We offer API 5L pipes with both galvanized and black finish in single random length i.e 4-7 metres and double random lengths i.e 7-13 metres. In General these api pipes are used to transit oil, gas and petroleum distilleries. Among all API x series pipe x52 is the most selling API grade. 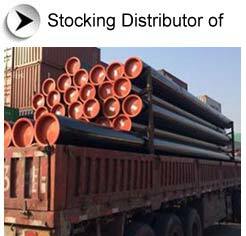 Aesteiron Steel Pipes is exclusively engaged in stocking and manufacturing API 5L L450 X60 PSL1 Line Pipe with certifications confirming to EN 10204- 3.1/3.2. Line pipe is available in sizes ranging from 0.500 to 100 inches and can be produced by seamless, ERW, SAWL and SAWH methods according to API Spec 5L, CSA, DIN EN, BS EN and DNV standards. To check the api5l pipe specification please check below table. 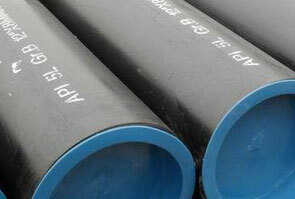 Grade X65 PSL2 pipes are available in seamless and welded types, commercially known as API 5L line pipes. Note: * Availability subject to enquiry. Quality Extra is valid for standard API 5L only, and will be adjusted per contract or technical requirements. In addition, we offer two new specification groups for use in the E.U. As we are supplying api5l grb & API 5L L450 X60 PSL1 Line Pipe globally so we have our dedicated sales representatives & technical consultant engineer in Nigeria, South Africa, Australia, Italy, Iran, Iraq, Israel, Turkey, Spain, Indonesia, Saudi Arabia, Oman, Qatar, Kuwait, South Korea, Canada, Japan, Yemen, Netherlands, Singapore, Malaysia who can provide you detailed information about API 5L L450 X60 PSL1 Line Pipe & comparison with other grades which will help you to choose the right steel pipe for your project at lowest price available in the market. For free consultancy or technical query you can send mail to our technical experts.